Load the Sunbelt Ibotta offer and save on the bars next time you shop. There are ten bars in the box so you are paying about 22¢ per serving. 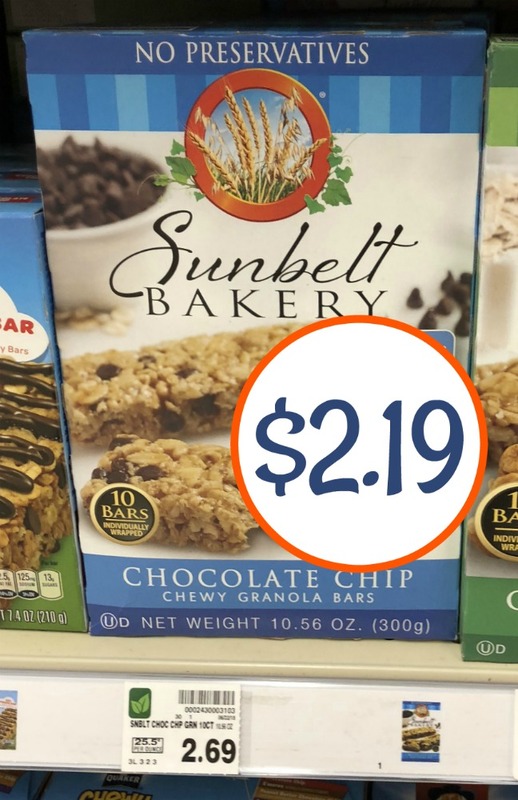 –$1/2 Sunbelt Bakery Chewy Granola Bars (Ibotta Deposit) [Any variety; Any size] $2.19 each with Ibotta.